If you live inthe Okanagan, you may have read today's article about Infusion in the Kelowna Capital News. In West Kelowna, George Pringle Elementary is one of the current cohort of Infusion Champion Schools. The school's principal John McMahon expressed that "bringing the arts into education for the kids is going to bring the curriculum to life." 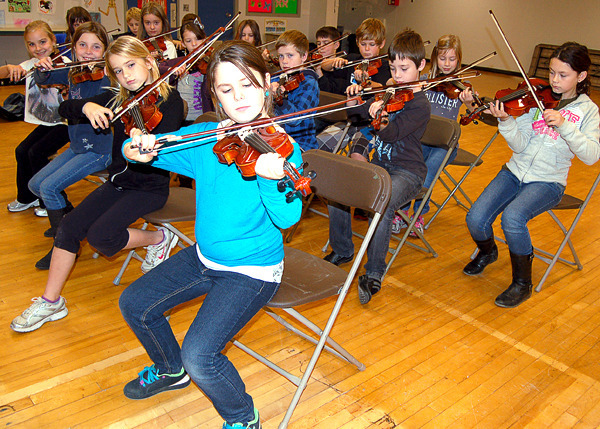 "There's a real commitment on the part of the teachers here to have arts as part of daily education-to infuse it and to reach the learning outcome," said McMahon. It was also great to hear how Infusion Teaching Artist Paula Scott is looking forward to working with the staff and students at George Pringle Elementary. "I believe in the arts and art integration in schools," said Scott. "I love working with kids. I love their innocence and the freedom they have to express themselves. They have no limits." Click here to read the full article on the Kelowna Capital News website.